Hi! 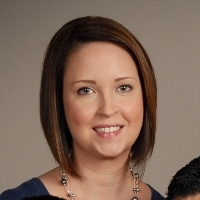 I am Catherine Flores, a Clinical Social Worker licensed in Texas with over 15 years of professional experience. I received my Master of Social Work degree from Loyola University Chicago in 2001, and over the years have worked with clients who struggle with medical issues, addiction, depression, anxiety, relationship problems, personality disorders and trauma. My counseling style is warm and empathic. I strive to offer my clients a non-judgmental, supportive space where they can gain insight and make changes. I have seen so many people struggle with problems and recover, even GROW from the adversity they have faced, and it is my privilege to be able to walk along side somebody in their life journey. I am trained and experienced in using Cognitive Behavioral Therapy, Motivational Interviewing, Dialectical Behavior Therapy, and Psychodynamic Psychotherapy techniques. I will tailor our dialog and treatment plan to meet your unique and specific needs, because after all we're just two humans trying to make it through this thing called life! I believe everyone is doing their best, and sometimes we just need a helping hand to get through tough times and to our next level. When I am not at work I am spending time with my twin 8 year old sons, my two Dachshund dogs, and my husband in the Houston area! So, if you are looking for a down-to-earth therapist who won't judge you and will help you achieve your own personal goals, you've found her! I look forward to working with you! Catherine is an extremely empathetic and nonjudgmental therapist. I feel like I can be honest with her about my struggles and anxieties and she offers realistic, healthy ways to cope. She is highly professional with many years of experience. I would definitely recommend her to anyone struggling with a wide range of concerns. Catherine is kind and patient. She takes the time to understand what I am going through and gives me actionable steps and tips to help fix my problems. Highly recommend! Catherine is excellent at listening and deciphering the root issues, and is gentle about bringing us face to face with them, all while providing tools and ideas to help overcome them. She knows how to not rush a conversation and really keeps track of whats going on. She's really good at what she does. I highly recommend her if you're seeking help. Catherine, is sweet, kind, caring, supportive, all around a great person!! She is very kind and caring and respectful. She is amazing! Talking to her helps me so much. I always feel better after talking to her. Thank you! Awesome advice and amazing service. Catherine Flores is awesome. Very understanding, empathetic and has a great sense of keeping things lighthearted and keeps the conversation flowing. Catherine Flores is professional, but friendly - clearly knowledgeable in her area of expertise, and very helpful as I struggle with my ongoing issues. It's really comforting to know that I can vent/wail/etc as I go through this stuff, instead of having to wait for a weekly appointment. Catherine is amazing and very helpful. So glad she's my counselor!! I've been trying to use self-help resources for months, and I was making no progress. Once I started talking with her, I started quickly noticing a remarkable difference in myself. I know I still have a long way to go, but it doesn't seem so impossible anymore. Catherine has been such a great support for me during a complicated time in my life. We are just starting our work together, but so far I have been very impressed. It’s also my first time using online counseling and I like the platform. It’s convenient for me as a mom to be able to write since I can do discretely without the kids being able to know about the content of my counseling. So far I’m very interested and working towards opening up. I am 31 years old and have never been able to reach out to a Counselor and open up. Catherine Flores seems to have a very welcoming approach and understands my speed/steps. I look forward to working with her more. Would you like to write a review for Catherine Flores? We'd appreciate if you can spend a couple of minutes to write a short review for Catherine Flores (LCSW). This review would be shared with Catherine Flores. It may also be posted in our website or in Catherine Flores's profile but it would be anonymous and your identity would be kept completely confidential.